One of the primary areas of disagreement over the interpretation of Scripture is the relationship between the Old and New Covenants and the implications that flow downstream from this, such as: Israel vs. the Church, infant baptism vs. believer’s baptism, and the Future of ethnic Israel. The tipping point in each of these debates, and the key to unraveling the continuity/discontinuity issue between the Old and New Covenants, is the meaning and significance of the Abrahamic Covenant. On the one hand, finding too much continuity between the Old and the New Covenants, results in a continuation of the practices regarding infants, i.e. infant circumcision under the Old is continued under the New by means of the practice of baptism. Additionally, this view collapses Israel and the Church and sees them as a (near) continuous unit. On the other hand, finding too much discontinuity between the Old and the New, results in two distinct purposes and plans of redemption for the people of God, namely Israel under the Old Covenant and the Church under the New Covenant . Historically, the distance between these two views has been approached from a variety of angles with a myriad of different solutions, each of which must reconcile what to do with the Abrahamic Covenant. Here, the dialogue centers around Jesus’ statement that the truth is freeing. It’s rather obvious that He is not talking about being in physical captivity, as the Jews assume, rather He is talking about being enslaved by sin. The truth, says our Lord, will set one free from this enslavement. The reply by the Jews assures us that they do not have the ears to hear what Christ is saying, because they immediately state their heritage with Abraham, followed by an affirmation of their physical freedom. 34 Jesus answered them, “Truly, truly, I say to you, everyone who practices sin is a slave to sin. 35 The slave does not remain in the house forever; the son remains forever. 36 So if the Son sets you free, you will be free indeed. After previously affirming the Jews relationship with Abraham, Jesus (who we may be reminded was Himself a Jew) now questions their relationship with Abraham by focusing on their deeds, or works. Either Jesus has forgotten what He said earlier or He’s confused right? What gives? They said to him, “We were not born of sexual immorality. We have one Father—even God.”42 Jesus said to them, “If God were your Father, you would love me, for I came from God and I am here. I came not of my own accord, but he sent me. 43 Why do you not understand what I say? It is because you cannot bear to hear my word.44 You are of your father the devil, and your will is to do your father’s desires. He was a murderer from the beginning, and does not stand in the truth, because there is no truth in him. When he lies, he speaks out of his own character, for he is a liar and the father of lies. The above passage is an important conclusion because for the first time we see the Jews finally grasping the spiritual realities that Jesus has been discussing. They assert that yes, Abraham is their physical ancestor, but God is their true Father. Jesus immediately debunks this superficial claim by again looking to the fruit in their lives and seeing a lack of love for Himself. In contrast to their claim of God as their Father, Jesus goes to the heart of the matter by stating they have the devil as their father. The Jews claim and Jesus affirms their physical relationship with Abraham. Jesus presents a paradigm wherein the Jews do not have a spiritual relationship with Abraham. The Jews claim and Jesus denies their spiritual relationship with God as their Father. Jesus presents a paradigm wherein the Jews have the devil as their spiritual father. So what does all this contribute towards understanding the Abrahamic covenant? In the context of this dialogue, Jesus presents a duality with respect to Abraham, that he has BOTH physical AND spiritual descendants. The physical covenant with Abraham was marked by circumcision. The “spiritual covenant” more properly called the Covenant of Grace, was marked by faith and obedience, the evidence of a circumcised heart. All of Abraham’s descendants were to be marked by physical circumcision, remarkably, this included both Ishmael and Isaac, as well as the servants in Abraham’s house. All of Abraham’s spiritual descendants are marked with heart circumcision. While the physical and the spiritual seed of Abraham at times had overlap, as in Isaac not Ishmael and Jacob not Esau, and the promises to Abraham, both physical and spiritual had overlap, nevertheless recognizing and maintaing this duality is critical to understanding the relationship between the Old and New Covenants. One final note for consideration, both the seed and the promises given to Abraham are fulfilled in Christ, “Now the promises were made to Abraham and to his offspring. It does not say, “And to offsprings,” referring to many, but referring to one, “And to your offspring,” who is Christ.” Galatians 3:16 This fulfillment in Christ reaches its pinnacle through His death on the cross, shedding His own blood for the inauguration of the New Covenant*, see Luke 22:20; Hebrews 8:6-13. (*essentially this is the fulfillment of the Covenant of Grace that we mentioned earlier). But now, in the second place, we come to notice ITS EVERLASTING CHARACTER. It is called an everlasting covenant. And here you observe at once its antiquity. The covenant of grace is the oldest of all things. It is sometimes a subject of great joy to me to think that the covenant of grace is older than the covenant of works. The covenant of works had a beginning, but the covenant of grace had not; and blessed be God the covenant of works has its end, but the covenant of grace shall stand fast when heaven and earth shall pass away. The antiquity of the covenant of grace demands our grateful attention. It is a truth which tends to elevate the mind. I know of no doctrine more grand than this. It is the very soul and essence of all poetry, and in sitting down and in sitting down and meditating upon it. I do confess my spirit has sometimes been ravished with delight. Can you conceive the idea that before all things God thought of you? That when as yet he had not made his mountains, he had thought of thee, poor puny worm? Before the magnificent constellations began to shine, and ere the great centre of the world had been fixed, and all the mighty planets and divers worlds had been made to revolve around it, then had God fixed the centre of his covenant, and ordained the number of those lesser stars which should revolve round that blessed centre, and derive light therefrom. Why, when one is taken up with some grand conceptions of the boundless universe, when with the astronomers we fly through space, when with we find it without end, and the starry hosts without number, does it not seem marvelous that God should give poor insignificant man the preference beyond even the whole universe besides? Oh this cannot make us proud, because it is a divine truth, but it must make us feel happy. Oh believer, you think yourself nothing, but God does not think so of you. Men despise you but God remembered you before he made anything. The covenant of love which he made with his Son on your behalf is older than the hoary ages, and if ye fly back when as yet time had not begun, before those massive rocks that bear the marks of gray old age upon them, had begun to be deposited, he had loved and chosen you, and made a covenant on your behalf. Remember well these ancient things of the eternal hills. In the previous post from this series on an overview of covenant theology, its historical developments, including divergent and competing views, we examined the historical development of CT’s most ardent opponent, dispensationalism, particularly its expansion into the United States in the 19th Century. Also, we saw the growth of dispensationalism into the 20th and 21st centuries, including a brief mention of progressive dispensationalism, as the movement continued to migrate toward a middle ground between classic dispensationalism and Westminster covenant theology, which we examined in PART 1. With the explosion of dispensationalism in the United States in the 19th and 20th century, covenant theology did not die on the branch altogether. We must at least give mention to mighty Princeton University as she began her run of staunch conservative, Reformed theology. Such notables as Jonathan Edwards, Archibald Alexander, Charles Hodge, A.A. Hodge, B.B. Warfield, and Geerhardos Vos to name a few, carried the banner of Reformed theological thought into the 19th Century. While J. Gresham Machen, O.T. Allis, Cornelius Van Til, John Murray, and Ned Stonehouse among others helped to carry the banner of Princeton into the 20th Century until her eventual slide into liberalism. At that point, a split occurred and J. Gresham Machen left Princeton to establish another seminary to carry on the Reformed Tradition in the vein of Old Princeton. Westminster Seminary was founded in 1929. Each of those men listed above eventually followed Machen and Allis to Westminster. Albeit representatives of the paedobaptist variety of covenant theology, their influence on Baptists would be noteworthy in the 20th Century. Though perhaps not as notable or prolific as their Presbyterian brothers during this time, Baptists had some noteworthy developments of her own. Men such as Andrew Fuller (1754-1815), William Carey (1761-1834), John L. Dagg (1794-1884), Basil Manly, Sr. (1798-1868), P.H. Mell (1814-1888), James P. Boyce (1827-1888), John Broadus (1827-1895), B.H. Carroll (1843-1914), and R.B.C. Howell (1801-1868) to name a few, made significant contributions in Baptist history. Howell’s work, The Covenants, is representative of the continuation of Baptist covenant theology developed in the 17th Century and Boyce’s Systematic Theology was the Baptist go to (and should be still), reflecting both a reformed soteriology and a baptistic understanding of the covenants. 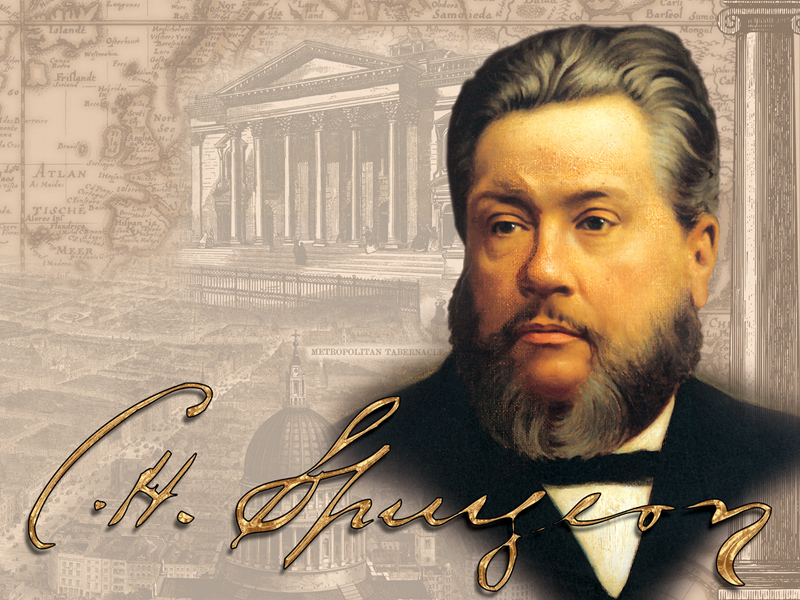 However, it would be the influence of the “Prince of Preachers”, Charles Spurgeon (1834-1892), from 19th Century Great Britain that would have its greatest impact on 20th Century America, particularly through the writings of Arthur W. Pink. While a subscriptionist to the 1689 Second London Baptist Confession himself and authoring sermons that reflected the historic Baptist position on covenant theology, Spurgeon’s influence on Pink must have been felt in his childhood home. Born in Nottingham, England 1886, Murray suggests the likelihood that the Pink household must have at least in part if not altogether had been recipients of Spurgeon’s widely circulated Sword and Trowel magazine. A.W. Pink, whom God was delighted to save out of the cult of Theosophy (toward which he had drifted as a young man) in 1908 set sail to America just two years later in order to attend Moody Bible Institute in Chicago, Ill. Recall that it was Moody who was one of the catalysts for the spread of dispensational premillennialism. It was under this ministry that Pink would gain his first taste of dispensationalism, as well as the fundamentalist reaction toward the liberalism of the day. However, Pink’s stay at Moody, like much of his other ministerial positions, would be short-lived. After just 6-weeks he was compelled to enter the pulpit and would have no more of “wasting my time” at the Moody Bible Institute. Pink’s first pastorate would be in the mountains of Colorado at the Congregational church at Silverton. He would remain here for less than two years having moved on to other ministerial duties in 1912. While Pink’s life is perhaps a less than adequate model of faithful, consistent, and balanced ministerial life, his writing legacy lives on through such esteemed works as The Sovereignty of God, Hebrews commentary, and his series Studies in Scripture, among many, many others. However, it is likely that Pink’s work Dispensationalism, a polemic against the movement, and Divine Covenants are the most relevant for furthering the development of Reformed Baptist Covenant Theology as it has existed since the 17th Century. Pink’s volume on the covenants stands expressly downstream from those who formulated the 1689 Baptist confession and should be consulted by all those wishing to understand a clearly articulated Baptist understanding of the covenants. Additionally, his commentary on Hebrews provides a Baptist understanding of typology and continuity/discontinuity of Scriptures and leans heavily on the substantial Hebrews commentary of John Owen. Pink’s influence was not lost among his contemporaries, most notably the highly esteemed Martyn Lloyd-Jones, though himself a Presbyterian. Similarly, another significant Reformed Baptist would carry Pink’s influence into the middle and latter half of the 20th Century. That man was Ernest Reisinger. During one of Pink’s many nomadic wanderings, this time bringing him to Kentucky, he met a man from Swengel, PA named I.C. Herendeen. Herendeen would become the first publisher of Pink’s works, including The Sovereignty of God through his “one-man publishing house” called “The Bible Truth Depot”. As Herendeen sought a church near his home in Swengel, he found one pastored by the newly installed John Reisinger. John, his older brother Ernie, their middle brother Donald and younger sister Grace Esther were born and raised by humble means in Carlisle, PA, largely a Presbyterian town influenced greatly by the newly formed Westminster Seminary, just north of Philadelphia, PA. After the war (WW2), John and Ernie became construction partners in Carlisle, PA. Having grown up under Presbyterian influence, their natural affinity was to join a Presbyterian church in their hometown, Second Presbyterian Church. After leading multiple Bible studies, Ernie was commissioned as a “lay preacher” in 1946 by the Carlisle Presbytery. Given the slide into liberalism that the Presbyterian Church underwent in the first half of the 20th Century, Ernie Reisinger found it increasingly difficult to remain in the denomination. On December 9, 1951 a small group of 23 people met in the Carlisle High School Band Hall constituting the first meeting of what would become Grace Baptist Church, Carlisle. Ernie Reisinger’s doctrinal development would be owed, at least in part, to his younger brother John’s embrace of the Doctrines of Grace while at Lancaster Bible College in Pennsylvania. He became convinced of the truths of “Calvinism”, not from his coursework, but from a Bible study on the Gospel of John taught by a farmer “in a small country church in Lancaster County”. The summary lesson may be found in Geoffrey Thomas’ biography of Reisinger and is an excellent explanation of God’s electing grace. While John Reisinger began working out his own understanding and applications of these truths, in 1953 the aforementioned I.C. Herendeen began sitting under his ministry. Having heard Reisinger quote Charles Spurgeon, Herendeen gave him copies of Spurgeon’s sermons and autobiographical materials on the doctrines of grace, thereby helping to rectify any final theological difficulties he was having. On return trips to Carlisle, PA, the younger Reisinger began to share with his brother Ernie the truths that he had encountered. This eventual return of Baptists to their roots in the Doctrines of Grace is not insignificant but is in fact intimately linked with the resurgence of Reformed Baptists in the 20th century. Additionally, John introduced Ernie to the publications of Banner of Truth, which, as we will see, would forever alter the publication and distribution of reformed material in the United States. As providence would have it, their congregants became exposed to the 1689 Second London Baptist Confession and in 1958 the church adopted the confession and formally became Grace Baptist Church. Here then in rural Pennsylvania can be found the roots of 20th Century reformed Baptists in America with a tiny, confessionally reformed Baptist church. As a result of the correspondence and massive increase in sales of Banner of Truth publications, “in August 1966 Humphrey Mildred, Banner of Truth’s assistant manager from London, visited Carlisle to find out what was happening in this small town that had caused more Banner of Truth books to be sold there than anywhere else outside the British Isles.” Eventually, Carlisle Pennsylvania would become the center of operations for Banner of Truth in America owing its source to a continually reforming 1950’s reformed Baptist congregation and her generous book loving reformer, Ernest Reisinger. Reisinger’s circle of influence would soon broaden and help expand the cause of the rejuvenated Reformed Baptist movement. It’s on this point, the Rise of Reformed Baptists in 20th Century America, that we will pick up the 5th and final post in this series that gives an overview to the history and developments of covenant theology. Murray, Ian. The Life of Arthur W. Pink, Banner of Truth Trust, 2004, p. 2-3. Chantry, Tom and David Dykstra, Holding Communion Together. Solid Ground Christian Books, 2014, p. 15. Thomas, Geoff. Ernest C. Reisinger: A Biography, Banner of Truth Trust, 2002, p. 52.